Outside the Box: I'm sorry...can you just speak English? I'm sorry...can you just speak English? The population of culturally and linguistically diverse (CLD) students is growing within the United States. The education of CLD students is controversial both within the United States and across the United Kingdom, Canada, South Africa, China, Singapore, Australia, and New Zealand as well (Rhodes, 2010). When CLD students fail to meet expected learning outcomes, educators may question the student’s ability to learn the material. These students are often referred to Child Study Team for suspected learning disabilities. With more than 400 different languages in the United States alone (Kindler, 2002) and 1 in 10 student born in other countries (U.S. Census Bureau, 2001), there is more room for misrepresentation of CLD students within special education. Furthermore, “students who are English language learns (ELLs)...often display characteristics and behaviors that are similar but unrelated to disorders and disabilities that require special education intervention” (Rhodes, 2010, p. 566). Difficulty understanding instruction and mental fatigue of learning a new language are associated with the appearance of inattentiveness, impulsivity, distraction, disruptiveness, and disorganization (Ortiz, 2005). Few methods of assessing difference (in language acquisition) versus disability exist for CLD students. Witt (2002) proposed the Screening to Enhance Equitable Placement (STEEP) model which a uses problem-solving model to develop intervention strategies and screen students for additional evaluation. Intervention procedures are adjusted and effectiveness is evaluated through progress monitoring. Overall, a problem-solving model is suggested for differentiating deficits in language acquisition from disability. Stages of the problem-solving model may be used to identify cultural and linguistic demands of the curriculum, educational and language history, previous exposure to ESL instruction, and level of acculturation resulting in culturally and linguistically appropriate interventions (Rhodes, 2010). Rhodes (2010) suggests that school psychologists implementing the problem-solving model should be “proficient in providing consultative services in a multicultural and oftentimes multilingual environment” (p.575). Unfortunately, models such as these, which consider the unique cultural and linguistic experiences of CLD students are not widely used in school systems. If this knowledge is available to school psychologists, why aren’t more of them taking preventative measures to assess cultural and/or linguistic differences before accepting CLD student referrals? Should there be a required procedure for teachers to follow before referring CLD students to the Child Study Team? What is the school psychologists role, if any, in preparing teachers to effectively distinguish language differences before referring? Kindler, A.L. (2002). Survey of the states’ limited English proficient students and available educational programs and services 1999-2000 summary report. Washington, DC: National Clearinghouse for English Acquisition and Language Instruction Educational Programs. Ortiz, S.O. (2005). Language proficiency assessment: The foundation for psychoeducational assessment of second language learners, In R. L. Rhodes, S.H. Ochoa, & S.O. Ortiz (Eds. ), Assessing culturally and linguistically diverse students: A practical guide (pp. 137-152). New York: Guilford Press. Rhodes, R.L. (2010. Implementing the problem-solving model with culturally and linguistically diverse students, In G.G. Peacock, R.A. Ervin, E.J. Daly III, & K.W. Merrell (Eds. ), Practical handbook of school psychology: Effective practices for the 21st century (pp. 566-578). New York: Guilford Press. Witt, J.C. (2002). STEEP RTI--response to intervention. Retrieved December 4,2012,from http://www.isteep.com/steep_rti.html. This Blog was created by Denise Annecchino, Gabrielle Centra and Sherlyne Dalupang. CORRECTION: Within lines 12-13, it should read "English Language Learners (ELLs)." U.S. Census Bureau. (2001) Percent of persons who are foreign born: 2000. Washington, DC: Author. As school psychologists, we have a large responsibility to make sure that students’ difficulty with any individual subject has nothing to do with language acquisition before intervening. We must be confident that we have reliable and valid results from our initial assessment, with the use of interpreters and bilingual versions, before moving on to creating an IEP and implementing any changes into their school day. As stated in the blog, the number of CLD students enrolled in public education continues to grow and we must be aware of this. It becomes very easy for these individuals to fall through the cracks when we don’t have the resources to assess these children properly, and it’s cheaper, short term, to just throw them in a resource room. School personnel must be aware that it will end up being more expensive in the long run to continue with this strategy. With United States being known as the “land of opportunity,” we need to provide these students with the chances that they deserve and the rights that they have. I agree with the Rhodes quote in that it is our responsibility as school psychologists to be proficient in consultation within a multicultural environment. This responsibility includes having the awareness of when you don’t have the knowledge or experience to help a student and must refer them to another professional. This may often be the case during our careers and we must do what is best for the student. I believe that the main reason school psychologists are not taking preventative measures to assess CLD students is that they are not knowledgeable on the latest research and practices in this area. Additionally, since this is an emerging field of study and interest, it takes time for the latest evidence-based practices to be taught and for widespread acceptance and implementation to follow (i.e. at the state and district level). At my practicum site, I observed a case of a 2-year-old boy who is receiving early intervention services for a possible language delay. He is from a low-income household with a single mother who only speaks Spanish. At a transitional planning conference, the social worker and speech therapist described how they are working on developing his vocabulary since it is very limited. From my observations, the case seemed to be more of a language issue versus a developmental delay. The school psychologist I am shadowing also shared the same sentiment. In order to help make a decision on how she should handle this case, she attended a conference given by Dr. Samuel Ortiz (cited in the blogpost) on Cross-Battery Assessment. She reported to her director that she would like to assess the child in English and Spanish. However, her director said that they have been cited by the state for disproportionately administering assessments to children who are culturally diverse. The situation is ironic since the CLD population does need to be assessed in order to uncover what kind of language and possible learning difficulties they may have. Due to this, the rate that they are being assessed will be higher versus the “normal” population of students who receive assessment. However, the system sees this form of assessment as discriminatory and disproportionate. It also appears that state mandates and supervision are not aligned with the needs of CLD students. For teachers, I think there should be guidelines to follow about referring CLD students. However, I do not think there should be set mandates. Teachers already have a plethora of state mandates and goals they are expected to meet. It would be helpful for teachers to be educated on the learning differences amongst CLD students and how these differences may present themselves as signs of a disability. Also, school psychologists should educate teachers on behaviors they should look out for. These behaviors may be helpful in distinguishing a learning disability from a language issue before referral. Katie, you are absolutely right that reliable and valid results from the initial assessment are necessary. You pointed out that the use of interpreters are important before moving on to creating an IEP. As we all know, choosing a professional interpreter is very important in regards to relaying the correct information to both the child and his or her parents. What if there is a district that cannot afford a professional? How are these school districts suppose to accurately assess their students? You also mentioned that school personnel must be aware that it will cost them more money in the long run if they continue to place students in a resource room. As school psychologists, we need to be thinking of ways to create this awareness within our districts. Not only will it be saving the districts money, but the students will receive the education that will help them excel. Regarding the Rhodes quote, there are going to be times where we do not have the knowledge or experience to help a student. It is important that school psychologists keep up with current research and methods in order to help students in the most effective way. There is only so much one individual can do to help a student, so it is important to know when to reach out for professional assistance. Krista, you bring up a fantastic point of school psychologists not being knowledgeable on the latest research and practices regarding Culturally and Linguistically Diverse students. As we discussed in class, the “prime time” of a school psychologist is a maximum of four years after they graduate. Many of these school psychologists have been out of school for 10+ years. Even the recent RTI model which is proven to work, is not going into effective in school districts. This is partially because of funding and partially because of the lack of knowledge regarding it. Many of these methods that are proven to work are still overlooked for reasons just like the ones you have mentioned (i.e. discrimination). How can school psychologists prove that these tactics are not a form of discrimination, but actually ways to better assess students in need? Further assessment in CLD students is not to point out specific races and nationalities, it is to determine whether the issue lies under developmental or language problems. Regarding your idea about guidelines for teachers to follow about referring CLD students, do you think on top of all the other things they must keep up with that they will keep up with this as well if it is not mandated? Teachers are bombarded with state mandated goals and expectations, having these guidelines may skip their mind if it is not a necessity. Is there a way, if any, school psychologists could educate teachers on these guidelines and the importance of them keeping up with it? Would it be effective? How much more can teachers take on, on top of everything else they must do? I fully agree with Krista in that school psychologists are not fully aware in the field of culturally and linguistically diverse students. Everyone comes with their own personal bias which may effect their decision on placing a culturally and linguistically diverse student in special education. Rhodes (2010) states that school psychologists need to determine whether behavior problems stem from the student's limited abilities to understand the English language. As can be seen in many of the schools today, demographics are changing where there are more bilingual students and English language learners. Just as school psychologists aren't aware of all differences between cultures, teachers may not be aware of these differences either. A child acting out during a reading lesson may be seen as a behavior problem by a teacher, and therefore the child may be referred to the CST. Teachers need to be aware of cultural and linguistic differences, just as school psychologists need to be. I don't believe the school psychologist needs to be the one to instruct teachers on these differences. As already established throughout this semester, school psychologists have limited time to do everything they need to do. Adding something else to that list will not have a positive outcome. Inservice training days may be a more efficient way to reach and educate every teacher/faculty member. Teachers shouldn't refer students to the CST simply to get them out of the classroom. General classroom interventions should be implemented before a student is referred to the CST. Response to Intervention may be of help in the implementation of general class-wide interventions, lessening the initial referrals. Clearly, the concern of culturally and linguistically diverse students is continuing to grow. We, as school psychologists, need to make ourselves aware of these changes and keep current on the changing demographics. However, it is not our job to teach everyone else about these changes. Administrators need to take on this responsibility and keep their school free from bias (or as free from bias as they can). Rhodes, R.L., et. al. (2010). Assessing culturally and linguistically diverse students. New York, NY: The Guilford Press. Nikki, I am in full agreement with you that school psychologists as well as teachers should be educated regarding cultural and linguistic differences. As we have experienced at Montclair, some school psychology programs attempt to address this by incorporating a multicultural perspective. However, as you said, not all school psychologists are fully aware of the nuances of cultural and linguistic differences among students, and certainly there are plenty of teachers without this knowledge as well. As future school psychologists who are being educated from a multicultural viewpoint, is it not our responsibility to ensure that other professionals with whom we are involved are receiving the most current information pertaining to CLD students? 1. Do you feel that administrators have been educated to appropriately address cultural and linguistic differences among students? 2. Considering the demands currently placed on administrators and teachers to achieve standards on testing scores, do you think this will be a priority? As school psychologists, it is our job to ensure educational equality and mental well-being for all students. It is not also our responsibility then to educate others on cultural and linguistic differences that ultimately affect the education and mental health of CLD students? I don't believe administrators are fully educated on cultural diversity. But I also don't feel that we are fully trained in multicultural diversity. This is a huge issue in the school system, but who can efficiently train teachers and administrators on culturally and linguistically diverse students? It shouldn't be the School Psychologist's job to educate every teacher and administrator on such diversities. It is our job to ensure the student's receive the most appropriate education. Therefore, the teacher should understand that there are differences, but teaching administrators and teachers about diversity isn't our job. It may be unrealistic, but before a teacher is hired the school can require they take a course or two in cultural and linguistic diversity. If School Psychologists were solely responsible for this education, where is the accountability? The teacher can simply turn around and say "Well she didn't teach me that, that's not my fault." Accountability, on all levels in the school, is a major topic of discussion. I do believe that everyone should have some knowledge of the diversity that encompasses each school, so every one is held to the same level of accountability. Gabrielle, in response to your questions I came across some interesting information regarding culturally responsive RTI approaches. The model proposes that within the RTI framework CLD population differences can and should be considered along the way. For example, in tier two when students have not reached benchmarks, culturally responsive methods should be implemented such as providing "intensive support that supplements the core curriculum" (Klingner & Edwards, 2006, p.114). I think a culturally responsive RTI approach would be very useful for teachers. In this way, they are already familiar with RTI instruction but may need to be further instructed on certain cultural components. Rather than coming up with new/more mandates, perhaps further training or expansion on topics that are already known could be incorporated. Krista, the information you have shared is very pertinent information regarding CLD students within school systems. It would be ignorant of our system to ignore the differences in the CLD population. Klinger and Edwards study (as cited by Cairney, 1997, p. 70), stated that, "teachers and parents need to understand the way each defines, values, and uses literacy as part of cultural practices. Such mutual understanding offers the potential for schooling to be adjusted to meet the needs of families." (Klinger & Edwards, 2006). Not only would the culturally responsive RTI approach affect students and teachers, but equally the families of these students as well. Culture is such a unique experience shared between people. Our aim should be to keep biases aside and open our minds to these differences within families. We must take the time to create relationships between the home and classrooms. Nikki, I definitely agree with you in that school psychologists should not be responsible to teach the entire school about cultural diversity. Instead, it should be the school district's responsibility to provide professional development workshops on topics like cultural competency and it should be mandatory for all staff to attend. I think it's a win-win situation when the school psychologist and other school personnel are knowledgeable about the culture of the student or family they are servicing. This is how rapport is built and maybe it'll enhance more parent involvement where there's limited or no involvement to begin with. Nikki, I'm so glad you proposed the idea of multicultural education as a requirement for teachers. Perhaps upon hiring teachers this can be a required workshop they must attend before beginning the school year. Furthermore, administration may want to make this a requirement for all school personnel. The district might consider bringing outside experts in to educate administrators, teachers, and Child Study Team members on effective multicultural practice in the school setting. In that way, all school personnel are held accountable for issues involving multicultural students inluding CLD students. I agree with Krista’s opinion that school psychologist may not be knowledgeable of the latest research and practices when working with CLD and ELL students. Majority of the research have been issued recently, which would validate what Gabrielle said that school psychologist who are 10 years or more in the field have missed out on the education we are receiving in our programs. But should that really be an excuse for lack of knowledge? I remember Dr. Pastor saying in class that the self-life of our education is only about 3 years and that it is our responsibility as a professional to educate ourselves on the latest research and practices. Wouldn’t that apply for this situation? School administrators should stress the use of proper procedures when assessing CLD and ELL students, but if they don’t, it’s not a justifiable excuse for school psychologists as professionals to be okay with current procedure, take a backseat, and assess these students improperly. The keyword here is ACCOUNTABILITY. Everyone within the school should be held accountable for how CLD and ELL students are taught and assessed. But us as school psychologist know our role in this situation, educate ourselves on the proper procedures to assess these students and implement the procedures the right way. As Krista said in her comment, her practicum supervisor attended a conference in order to educate herself on ways to assess the CLD/ELL student. No matter how you see it, we are in this profession because of the passion we have for the education and well-being of all children. Part of our commitment to this job is to make sure the children we serve are being educated and treated the right way. Teachers have a responsibility to make sure they are culturally competent in order to meet the needs of their students. It is too their responsibility to educate themselves on language acquisition difficulties. The school should have workshops on this topic to help educate the professionals. I saw a comment from Katie, and Gabrielle who second it that reliable and valid results from the initial assessment are necessary to ensure we are not misclassifying CLD and ELL students. As we learned from our Cognitive Assessment course, an IQ test should never be the only test used when classifying a student. Informal assessments and nonverbal assessments should be conducted too. We cannot rely heavily on the results of an IQ test, especially if done in English, to diagnose a student with and LD. There are Spanish version IQ tests available for us to utilize. We just have to make the initiative to research these tests, find where these test can be found, and make sure we are implementing these test the correct way. The blog authors referenced Rhodes’ problem-solving model asserting that it helps differentiate deficits in language acquisition from disabilities. I think that this could serve as a very useful tool for school psychologists because I believe that it is their responsibility to determine the difference. While teachers may have some knowledge of being able to identify learning disabilities, it is ultimately the school psychologists’ role to tease out the difference between this and difficulty with language acquisition. However, I believe that through consultation sessions between a school psychologist and teacher, school psychologists could educate teachers about being able to determine the difference. While this may be time consuming initially, if time is initially taken with teachers to educate them and show them the steps involved in determining whether or not a student has a learning disability, there will inherently be less referrals to the Child Study Team. While I think that teachers should be aware of issues regarding culture, I do not believe they should be responsible for being able to determine whether or not a child meets the criteria for a learning disability versus whether they are having difficulty acquiring language. I believe that this is the role of the school psychologist but that the teachers could certainly help in the process. I would rather a teacher refer too many children to the child study team than too few and allow the final decision regarding whether or not the child meets criteria for disability to be determined via assessment procedures rather than risk the possibility of having a child fall through the cracks because a teacher mis-identified his/her difficulties. As a few of my classmates have mentioned, a lot of times the school psychologist might not be fully aware of the student's language acquisition skills and might label what is seen as a developmental delay. At my practicum site, the school psychologist will often talk about how a student has social-emotional needs as they tend to shy away from conversations or seem shut off from the world. This can be really challenging for school psychologists especially if they are not culturally competent. We have learned over and over at MSU the importance of being culturally competent and aware in today's world because of the numerous cultures and languages that co-exist in schools. As the blog authors have mentioned that there are specific behaviors that are often displayed by CLD students and their underlying problem is not the behavior but the language. In terms of teachers, like some of the other classmates have mentioned - it can be difficult to weed out the CLD students as opposed to the ones that are in need of behavior interventions. At the same time, I do believe that just like every other student - there needs to responsibility at all the levels. The teacher does receive the opportunity to meet the parents or the caregivers more than a school psychologist. At these meetings, if they decipher that language might be issue - it should be brought to the school psychologist's attention. It would also be helpful if these teachers had prior training or information in terms of what to look for when working with CLD students. Just as Rhodes (2010) makes clear, “students who are English language learners (ELLs)...often display characteristics and behaviors that are similar but unrelated to disorders and disabilities that require special education intervention” (p. 566). Achieving reading fluency and developing reading proficiency is a problem not just at the earlier stage in childhood or adolescence, but in adulthood as well. Academic performance becomes affected and students begin to fall behind, without the proper services (Deutsch-Smith & Chowdhuri, 2010). “As the complexity of academic tasks increases, students who are not proficient in reading and writing cannot keep pace with the increasing academic expectations of school settings” (Deutsch-Smith et al., 2010, p. 161). There is an inability to master the core foundation skills, but children can benefit through early intervention. Students with learning disabilities also are unable to generalize. The student may be able to apply a skill learned in one subject, but cannot apply this skill in another class (Deutsch-Smith et al., 2010). As future psychologists, it is important to be responsive to students learning English and taking preventative measures to assess cultural and/or linguistic differences before accepting CLD student referrals. Just as Amanda touched upon, “teachers have a responsibility to make sure they are culturally competent in order to meet the needs of their students.” This is in turn, brings up the controversial topic that workshops should be available through the districts, and in my opinion, mandatory. However, with budget cuts this is not always feasible. I also agree with Heather that although “teachers should be aware of issues regarding culture, they should not be responsible for determining whether for not a child meets the criteria for a learning disability versus whether they are having difficulty acquiring language.” I feel there should be a required procedure for teachers to follow, and be involved in the process. Sometimes ELL students are overrepresented. Students are being referred because teachers believe it’s a disability, when in actuality it’s a language barrier. On the other extreme, teachers will see a student having difficulties with the language and assume their problems in school are relative to their culture. However, no further investigation will be done to see whether or not it has to deal with language learning. Then the question becomes where does our role fit in and how do we intervene in the process? Where do we draw the line? diverse students, In G.G. Peacock, R.A. Ervin, E.J. Daly III, & K.W. Merrell (Eds. ), Practical handbook of school psychology: Effective practices for the 21st century (pp. 566-578). New York: Guilford Press. I'm so glad that Amanda has defined accountability for us in a different way. While many of us feel that accountability means each individual taking responsibility for a different task, Amanda has presented the idea of accountability as an ethical consideration. As school psychologists our primary responsibility is to ensure the welfare of our students. Should a school psychologist end up in a district with administrators and teachers that are not culturally competent, it is absolutely our responsibility to ensure that these students are accurately identified and appropriate evaluated. The issue of overrepresentation of CLD students in special education can be most effectively addressed by the school psychologist. However, as many of you have said, in order to do this we must stay current with the latest practices and strive to educate ourselves on cultural matters. Perhaps it is safe to say that the school psychologist should not be responsible for educating the district on cultural competence, but should be responsible for ensuring that best-practice is used to identify, evaluate, and educate CLD students. Another topic to consider is the level of acculturation the child and his parents are in when determining if the referral was appropriate or not. The symptoms due to acculturation stress are sometimes similar to the indicators of learning disability and a child is then misclassified. We can only hope that the the school psychologist is knowledgeable of different assessments tailored to CLD students so he/she can gather as much information on the student's culture as part of the assessment process. Also, school psychologists, school counselors, and social workers should be culturally competent in providing therapy to CLD students to assist them with their cultural identity to relieve some of the acculturation stress. Overall, I think we're very lucky to be in a school psychology program that addresses cross-cultural issues that we will encounter in our profession and provide us with the knowledge to be sensitive to these kinds of topics. I also think that even if we hit barriers along the way with less culturally competent colleagues, it should be our professional standard to use what we know and utilize it at the best of our capability. Over and over again, we've seen children misclassified and the long term effects it has on that particular child or family could be detrimental. We're not going to know every answer to everything but I say build your networks now because you'll never know who you might have to consult with in the future to receive guidance in how to appropriately service a CLD or ELL student. It seems as though we’re all in agreement on this issue. Sherlyne, I could not have said it better myself. Acculturation is such an important part of this conversation. This topic actually hits close to home for me because when I first came to the US, I did not speak a word of English. I remember going into fifth grade and being terrified. Not knowing the language can truly affect a child on so many levels. Firstly, there was the social aspect, or a lack thereof. It truly took me almost a year to begin to open up to people and become more social. This time could be a traumatizing experience for a child, and it could easily affect their academics as well. Children can become so withdrawn that they don’t even want to bother with learning. With that said, it is very important for us, as advocates for our kids, to be confident that the language is not an issue when we’re assessing a child. Some teachers may become frustrated because they may not know how to deal with a CLD child. Or some teachers may not realize that that is really the issue. Whatever the reason is, it is our job as School Psychologists to not only accurately assess the situation, but educate the teachers as well. If we educate the teacher, next time a situation like this occurs, he/she may think twice before simply referring a child. We will be doing a disadvantage to the child by putting them in a resource room. We always have to do what is best for the child, which means educating ourselves when it comes to the culturally and linguistically diverse so that we can recognize when a child is being wrongly referred before it is too late. I understand where you’re coming from but at the same time, I feel that if we allow teachers to just keep referring children to the CST, there will still be students who fall through the cracks. There’s not enough time for school psychologists to see all of the cases they have now, keep adding on and add those who shouldn’t be referred and you are going to have students waiting to be assessed. There will always be someone waiting, and that means there will always be a student falling through the cracks. Often times I believe teachers refer children not because “there could be something wrong” but because they just don’t want that student in their class. I see this a lot at my practicum site. It’s frustrating for the school psychologist there because every time they turn around the same teacher is bringing in a different student. Yes, I agree teachers need to be educated on how to identify the difference between a disability and a language difficulty. Do I believe this will decrease referrals to the CST? No. Because I don’t believe all teachers refer students because they think they may have a disability, I think most referrals are because they may have preconceived ideas of a certain child, who they have had many times and they just want that child out of their class. Is there a solution? How can we as school psychologist make sure culturally and linguistically diverse students are growing in our schools and not being ignored? If it is our responsibility to educate ourselves so our shelf-life keeps growing, then why isn’t it the teachers responsibility to educate themselves, so that they can stay up to date with all the changes? Why does the responsibility of knowing something always fall on the school psychologists shoulders? Barriers are created as this epidemic continues to hinder school psychologists’ ability to adhere to the specific needs of children of culturally and linguistically diverse backgrounds. As many of you have mentioned thus far, many school psychologists are not up-to-date with current research regarding this pressing topic and therefore are lacking in the ability to provide the best possible services to these children. Katie, I adamantly agree with your notion that school psychologists should be sure that any learning difficulties CLD students exhibit is not due to language barriers. 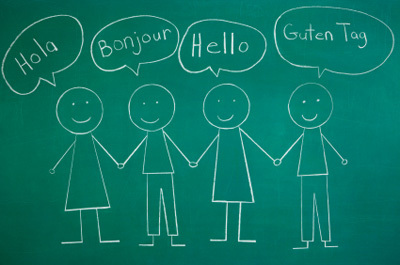 School personnel, in general, should all have knowledge and become acquainted with current material referencing multiculturalism; because this issue opens doors to even bigger issues such as the lack of bilingual school psychologists, legal matters as a result of inaccurate labeling, and the frequent occurrence of overrepresentation. School psychologists are not the only ones responsible for “getting it right;” administrators and teachers are held accountable as well and should be educated on the subject. As with anything else in this field, a collaborative approach is the best solution. There is a dire need for an increase in the number of bilingual school psychologists, especially in areas that are heavily populated with cultural diversity. Being able to properly translate such confidential and sensitive information to parents regarding their children should be a main priority for all school psychologists. In areas that solely employ English-speaking school psychologists, how do they know that, when a translator comes in to convey information to families and/or other professionals, they are accurately translating that important information? How do they know if these translators are qualified? How can they be 100% sure that confidentiality will not be breached? These are very important questions that if not answered can lead to a number of legal issues and unethical practices. Denise, in response to your questions, I agree with Nikki that administrators are not fully educated on the subject of diversity among cultures; but it should be because, with the lack of bilingual school psychologists the need for them is only going to increase with time, which will most likely lead to new hires and new payrolls. Is it our responsibility to teach these vital concepts to administrators and teachers? Why not? It’s only another role added on to the many that already exist, but it is fair to school psychologists? Attending informative workshops that provide extensive information on multiculturalism and practices that should be implemented in order to assist struggling bilingual students should be a requirement of all school personnel, as Denise mentioned. As I have most likely stated many times before...the time for making excuses is over; it’s time to start taking action, becoming more involved, and educating ourselves because that’s when more solutions can be created and applied. As future school psychologists ask yourself this, when the day comes that a child is sitting across from you and there is a difference of language and culture do you want your ability to help them be hindered because of your lack of knowledge? Sometimes the most effective solution is to simply acknowledge the fact that you may not be the best person to accommodate their specific needs and finding the right person for the job would be in the best interest of everyone. As a cousin of 2 English Language Learner (ELL) students, this topic touches me personally. My cousins moved to America during high school. They were both placed back a grade, one into the 9th grade and one into the 10th grade. All of their classes, except for math, were English in the Second Language (ESL) classes. Since I took care of everything for them in terms of school, all of their teachers knew to speak to me if any concerns were to arise. A few months into school, the math teacher came to me concerned about their academic performance. He suggested that both my cousins might have a learning disability. I told him that was impossible considering they were both at the top of their class in India. I did not want to make a big deal out of it, yet, so I told him I would talk to my cousins. When I did, they expressed that although they understand the material, they had difficulties with the language. They didn’t always understand what the teacher was saying and word problems were a struggle. I passed along this information to the math teacher and he couldn’t understand why that was such a problem. It is important to know that the majority of the population in my school was Indian. Within the Indian population, although a lot of the students went to schools taught in English in India, were in ESL classes. Math was one class that was not offered in ESL, which I believe is not offered in many schools or even at all. The teacher thought that since all the other Indian ESL students were doing fine in the class, that my cousins should be progressing at the same level. Since they weren’t getting the grades they needed, he assumed they had a learning disability. I tried to explain to him that my cousins came from small villages and did not have the money to go to schools taught in English. Since they do not have that basic vocabulary in English, it is hard for them to understand you or anything in text. He still seemed to think that my cousins had a learning disability and talked to the ESL teacher and the Child Study Team. The CST was seriously considering the teacher’s referral. The situation was getting way out of hand and I decided to talk to the ESL teacher. She agreed with me and together we had a meeting with the teacher and child study team. I brought in all their school records from India, even though they were already in the files. I showed them the grades my cousins received in school. They did well in not only Math, but other subjects as well. They both always came in at the top 10% of their class. I explained to everyone again that they did not go to schools taught in English and therefore they struggled with the language. The ESL teacher supported what I had to say and recommended that the math teacher try alternative strategies to try and help them. Since language was the barrier, she suggested giving assignments and tests that did not require reading. It was evident that the math teacher was frustrated and didn’t want to bother, but thankfully he complied. Their grades improved tremendously. I was so appreciative of the ESL teacher who cared enough to advocate for my cousins. My point? I think it is important for schools to use screening methods in determining a difference in language acquisition versus a disability for CLD students especially in populations with large amount of ELL and CLD students. Furthermore, since assessing for learning disabilities is the job of the child study team, I personally feel they have an obligation to prepare teachers in effectively distinguishing differences before referring. Isn’t it the job of the CST to advocate for their student? As I read through the posts, I understand that not everyone feels this way and that is okay, but for me personally I do think that the CST has a role in educating teachers and other staff members in the school. I am so glad that some of you are talking about acculturation, and Dominika I thank you greatly for sharing your experience. When we speak about culturally diverse students, status of acculturation is a very important consideration. A CLD student may very well have been born in this country, but may be the first generation here. If the family still follows cultural and linguistic traditions, the child may not have been exposed to the American culture or English language, which will likely impact their functioning upon entering the U.S. school system. It is essential to understand how the child perceives the dominant culture in the school or how the family is presenting it to them. Is the whole family attempting to adopt the dominant culture/language while holding true to their traditions? Do the parent's reject the dominant culture/language? Is the child attempting to assimilate into the dominant culture while the parents are resisting? These are important questions to consider when we are faced with assessing a CLD student that is having difficulties, whether they are academic, social, emotional, or behavioral. The way in which a child adapts to the dominant culture can significantly affect their experience in the schools. Cassie, I agree that it may be asking too much for school psychologists to be the only person within the district differentiating between difference and disability. I also understand your concerns about teacher's referring students in order to have them removed from the class. As we asked in our initial posting, do we as school psychologists feel there should be a procedure for teachers to follow with identifying CLD students before they are allowed to refer? For any student who is struggling, many districts require teachers to leave a paper trail. In other words, they must document the problem, how often it is occurring, what attempts they have made to support the student, so on and so forth. Are we suggesting that a similar process take place for distinguishing difference from disability among CLD students? Preeti, thank you so much for sharing your story with us and it is so wonderful to hear that you started advocating for CLD students some years ago...you are well on your way to being a culturally competent practitioner! You mentioned that the teacher felt your cousins should be doing well because all the other Indian students were doing well. Again, I feel this boils down to cultural competence. When we learn about working with multi-cultural populations, we learn that not all individuals from a country are the same. Different areas have different traditions, socioeconomic status, dialects, etc.. As a culturally competent school psychologist, we must consider the student's environmental factors prior to entering the school in order to paint a clearer picture of factors interfering with learning. One of the things we discuss in considering environmental factors is access to education. We should be asking what access this child has had to the curriculum? In what language was it taught? Did they have access to the school? Was school even a priority? As has been said many times, there are many questions that must be addressed when determining the needs of CLD students. If we do not make it a point to cover all bases it becomes very easy for the student's needs to be inadequately addressed. I agree Denise, there are several factors that need to be taken into consideration. The teacher was generalizing my cousins with the other Indian in his class. It is important to remember that each student has individual needs. As psychologist in training, there is so much time spend in learning the vast amount of variables that may affect a student's learning. NOTHING should be overlooked. If this teacher took the time to listen to what I was saying, the problem could have been stopped before it got to the point it did, but there are so many students out there that are not so lucky. So many are often referred for special services when that isn't even the problem. I am not saying anyone is at fault, but it is a problem that needs to be addressed. Nicole, you’ve made some excellent points and sound extremely competent regarding CLD backgrounds. As you pointed out, it is not only the school psychologists that need to be aware of current material referencing multiculturalism. Everyone in the district must do his or her part in order to make a more understanding and efficient school system. You also bring up the pertinent point of legal matters going into action because of inaccurate labeling which is a direct result from the ignorance associated with culturally and linguistically diverse students. Collaboration is not only important for the sake of the student’s education, but the survival of a strong educational community. As for your comments regarding the districts that are employing English-speaking school psychologists, it is important to focus on the choosing of interpreters. Many school districts use Spanish teachers or any other Spanish-speaking individual who has no training in the vocabulary associated with assessments and the IEP process. Accurate translation is such a huge concern, not only because of misunderstandings, but if the information is incorrect and the parent misses information, he or she can file a lawsuit against the school district. My own personal school district fired their Social Worker who focused in interpreting because they had budget cuts. They now use the Spanish teacher, which is also an inconvenience to her since she will sometimes be in the middle of teaching when she is needed. What do we do for the districts that cannot afford a CST member who is bilingual? How do make administrators realize the important of a bilingual school psychologist or CST member? Cassie, you referred to Heather’s comment regarding teachers referring too many children to the CST and with that student’s will still fall through the cracks. As important as this is, what about the students who have already been classified and are STILL falling through the cracks? One student in my district that is a sixth grader is currently so low functioning that she cannot spell her own last name correctly. As of now, teachers are passing her along to each grade in compliance to the No Child Left Behind Act. Even with the modifications and accommodations she receives, she still is at a minimal learning level. What can districts do for these students? Is it right to keep passing them just to obey the law, even though we know the retention of information is obsolete? Preeti, I completely agree with you that advocacy on behalf of the student is a skill that all of us in this profession should utilize. In an event where a child is clearly functioning at low levels like in Gabby's example, I think this is where advocating for a restrictive learning environment might actually be beneficial for the child if other modifications or accommodations are not working. I know schools aim for inclusion of all their students but is inclusion really for everyone? I also think teachers have a great influence in how a child will perform in their classroom and are an important resource to the referral process. Hence, I agree with Preeti in that the school should have screening methods to determine which children are at risk in the beginning of the school year to allow for appropriate interventions to be put in place.